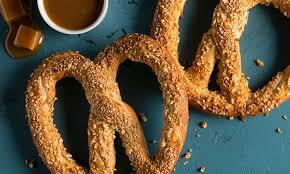 $25 OFF your Catering purchase of $100 or more! THIS IS A MAILED PROMOTION. PLEASE ALLOW 7-10 BUSINESS DAYS TO RECEIVE YOUR CARDS. 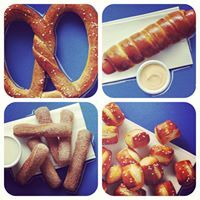 Better than the best you've ever tasted...Auntie Anne's is home of the famous hand-rolled soft pretzels that everyone loves. 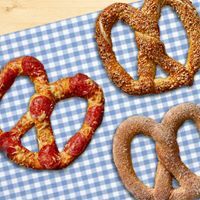 The kiosk features a variety of delicious pretzels, dips, flavored coffees, Dutch Ice and your favorite Coca-Cola beverages. 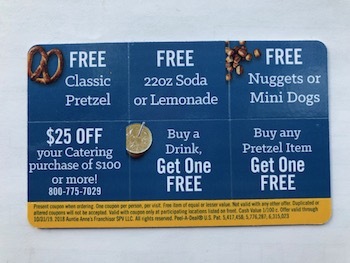 THIS IS A MAILED PROMOTION. PLEASE ALLOW 7-10 DAYS TO RECEIVE YOUR VALUE CARDS VIA USPS. 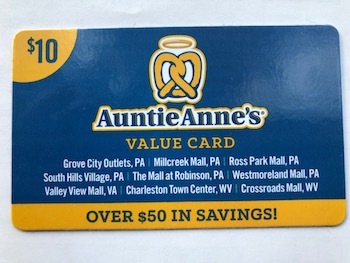 One coupon per person, per visit. Free item of equal or lesser value. Valid with coupon only at participating locations listed.